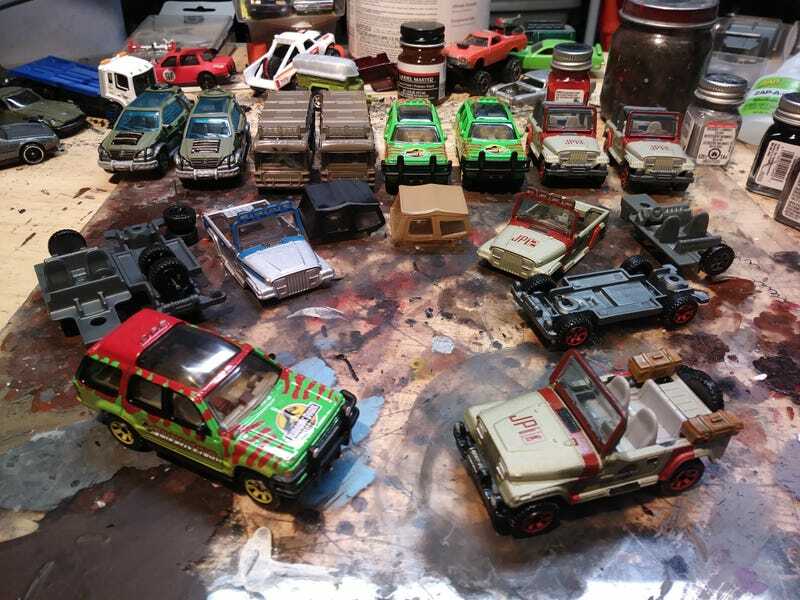 I previously built Jeep 10 and detailed Explorer 5. Now I’m doing pretty much all the rest of them. I started detailing the Mercedes and Jeeps on tonight’s Twitch stream. One Mercedes needs to be modified into the pickup version from the movie. The Explorers will become #4 pre & post T-Rex attack. #12 & #18 Jeeps just need detailing. I need to figure out how to reletter an 18 into a 29. I need to saw one of the RVs in half to make the trailer, make the bellows and detail both. The plan is to continue on Thursday's Twitch stream, and for as many additional streams as it takes.